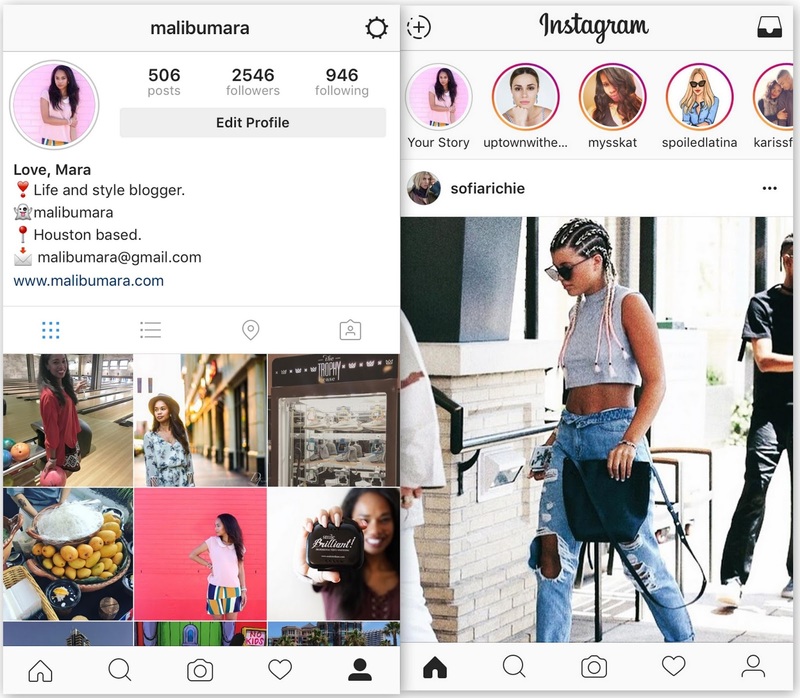 After struggling with getting users to share more on the platform Instagram launched "Stories"
yesterday. As a creator I am on board with this! I have a larger following on IG and my one story has more views than most of my normal snaps. IG tagging is one thing I always wanted snapchat to implement and they haven't! Once IG gets filters it's game over. But seriously what is this new secondary feed? Its basically snapchat. After 24 hours your content will disappear and each clip is up to 10 seconds. The circle avatars are allegedly arranged by your favorite accounts first, and when you tap on each bubble their story will appear. It has a rotating cube like interface but unlike snap you can swipe right to go back! Other fun tip, drop your finger on the screen and press down to pause a story. There is no "like" feature yet but you can message back and replies appear in your inbox. As a content creator, I find it cool that you can swipe up and share your story on your IG feed. Watch Stories from Instagram on Vimeo. Hope you learned a few pointers from this post!